Home > Business Scams > Employee Fraud: A Scam from Inside the Business? It’s hard enough to keep abreast of all the scammers who try and defraud your business, but what if the perpetrators of fraud are the people that you should be able to trust – your employees? It’s a frightening fact that insider fraud is estimated to cost UK businesses as much as £5 billion every year. Everybody wants to feel that they can trust their employees, but you need to be aware of the ways that you could be at risk – and put safeguards in place to avoid being ripped off by your own work force. What are the Types of Employee Fraud? There are two common types of employee fraud, and these tend to be either keeping fraudulent financial records, or stealing of company assets. The first type of fraud is likely to be committed by more senior people in the business that have some kind of authority, while the second is more common and can be committed by anyone in the business in a number of different ways. An employee could take money from petty cash and replace it with a personal cheque, which balances the books – but not deposit the cheque into the company account. Or they could use company cheques, make them payable to ‘cash’ and then reconcile the statements at a later date by cancelling the cheque and writing off the amount debited in an expenses account. An employee could take a payment from a customer, but keep the money – and then a second customer makes a payment, and the employee credits the first customer’s account. This is known as ‘lapping’ and can be repeated several times, which makes it very hard to detect and unravel. An employee could post bogus credit notes or other non-cash reductions into a customer's account and keep the cash, or change the amount on an invoice, take the payment and keep the difference. Always keep a close eye on what’s going on in the company bank account, even when you trust the people you’ve employed to take care of things. If they know you carry out regular checks, they will be less likely to be dishonest. Check your company bank reconciliations thoroughly and regularly, and study bank statements and cancelled cheques, looking for any cheques that have been made out to cash, in the names of unknown employees, or to suppliers you don’t recognise. You could even ask the bank to send all the company statements to your own home address. 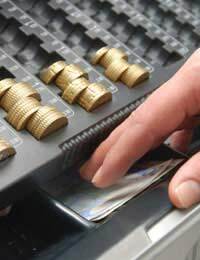 The most common unauthorised transactions within businesses happen in company expense accounts. Check these regularly, and compare them against the budgeted amount, to show up any signs of misuse. What looks like a justifiable expense may turn out to an employee abusing the system. Another way to make employee fraud less likely is by having different people responsible for key duties. Don’t have one person in charge of purchasing, invoicing, recording transactions, or credit control if possible. Introduce a rule that any single transaction above a reasonable amount has to be authorised by yourself or a senior employee. It’s not unusual for petty theft to take place in businesses. Although it might seem insignificant, over time, the theft of your stock and equipment for personal use or even to sell on can cost you dear. Nobody wants to feel like they are being watched, but you should protect your business by using closed-circuit television in key areas, installing alarms and keeping keys safe at all times. Depending on the size of the business, it can even be worth getting in external security and access control systems. It can be tempting to pay out money where it’s not earned if you’re in a position of trust dealing with payments to suppliers or employees. Keep an eye on your staff to prevent situations where an employee could invent a fictitious supplier and pay them into an account that they have set up for their own use. Check invoices regularly to make sure that they haven’t been tampered with, or that there are no strange suppliers. Also keep an eye on the payroll to make sure there are no suspicious employees or irregularities.